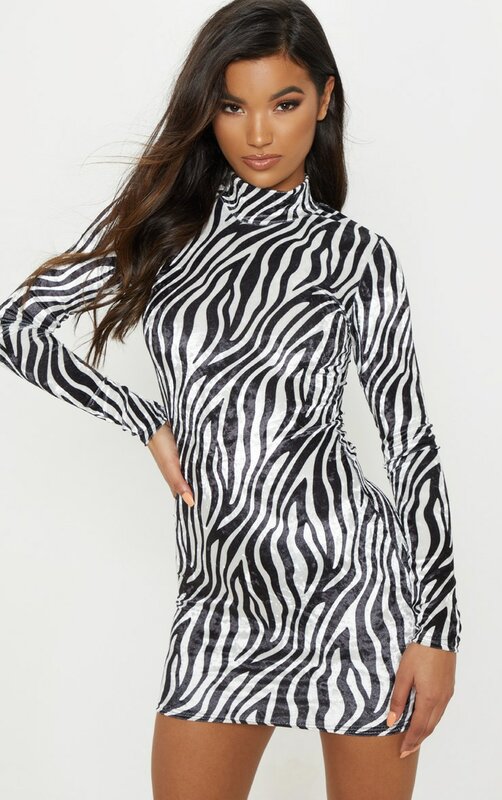 This bodycon dress is a must buy this season doll. 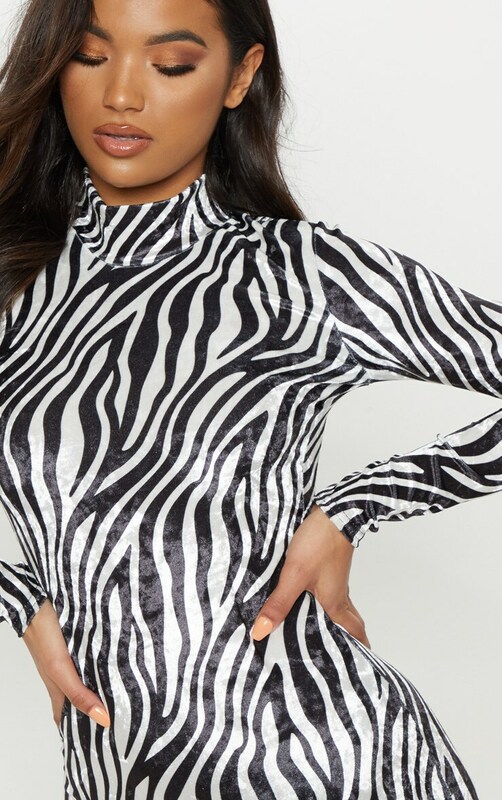 Featuring a monochrome velvet fabric with an all over zebra print and a high neck, what's not to love? 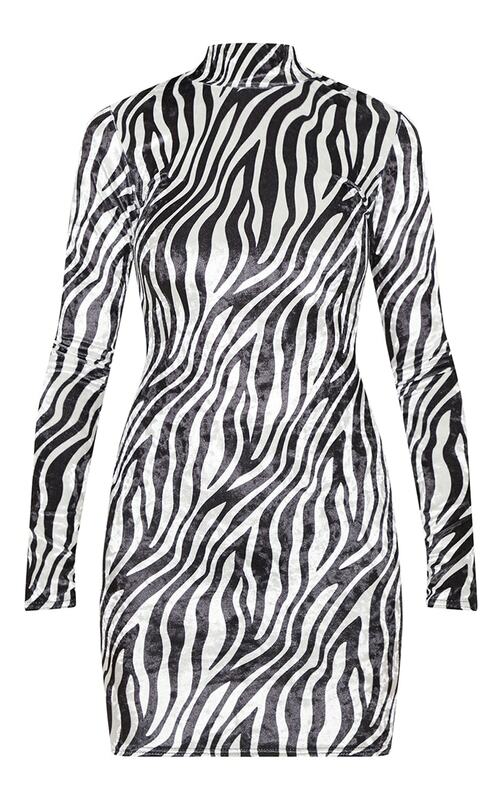 We love this teamed with a pair of slouch boots to nail some style points.